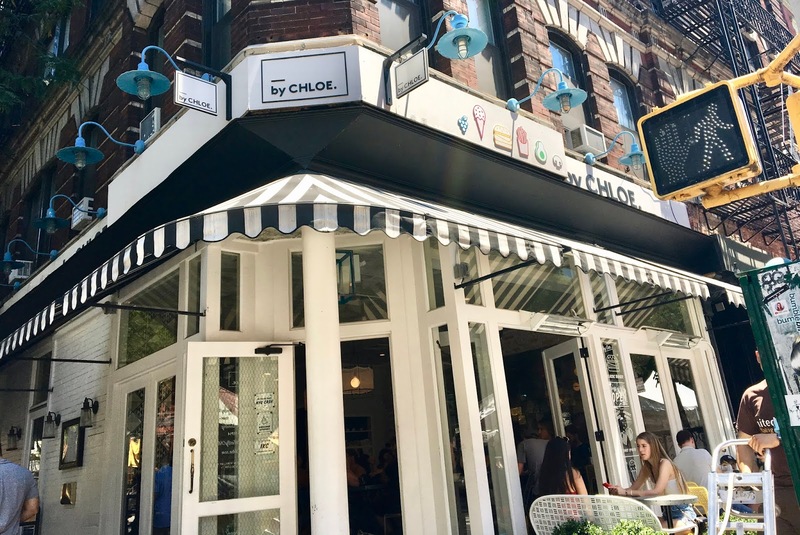 While By CHLOE is 100% plant-based, they are not a dedicated gluten-free eatery. Helpfully, they mark their menu to indicate allergens (see the full menu here). If you have any questions, be sure to communicate with the staff to let them know your dietary restrictions. Knowing that everything on the menu was dairy-free, I focused on the gluten-containing items to narrow down what I wanted to order. Because I stumbled across By CHLOE after eating a fairly substantial lunch, I knew I did not want to order a full meal, but spotted a dairy-free ice cream menu in the corner, which was just the perfect thing to tide me over and help me cool off from the afternoon heat. 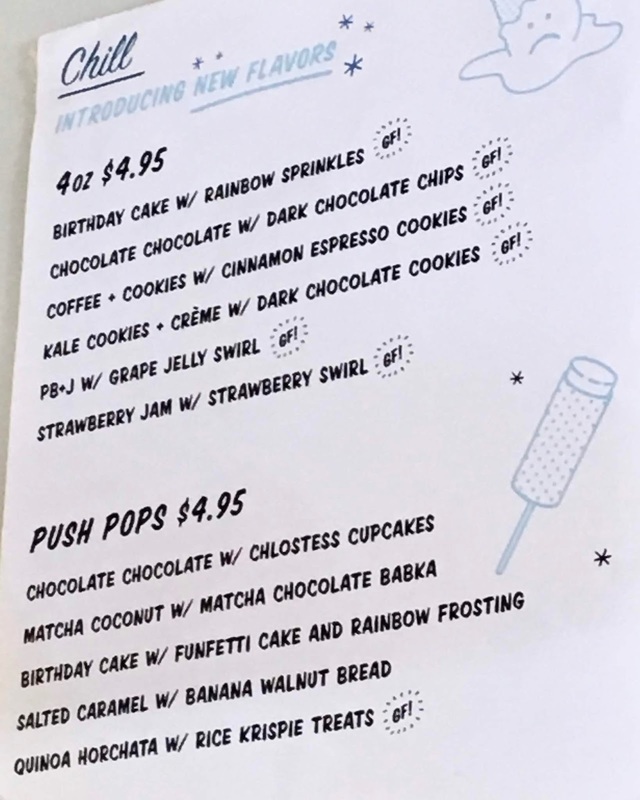 All of By CHLOE's ice cream flavors are gluten-free, so the question of which one to try took me a moment to weigh each the delicious-sounding options. Note that their push pops are not gluten-free (save for one flavor), because they feature gluten-containing cakes and breads. 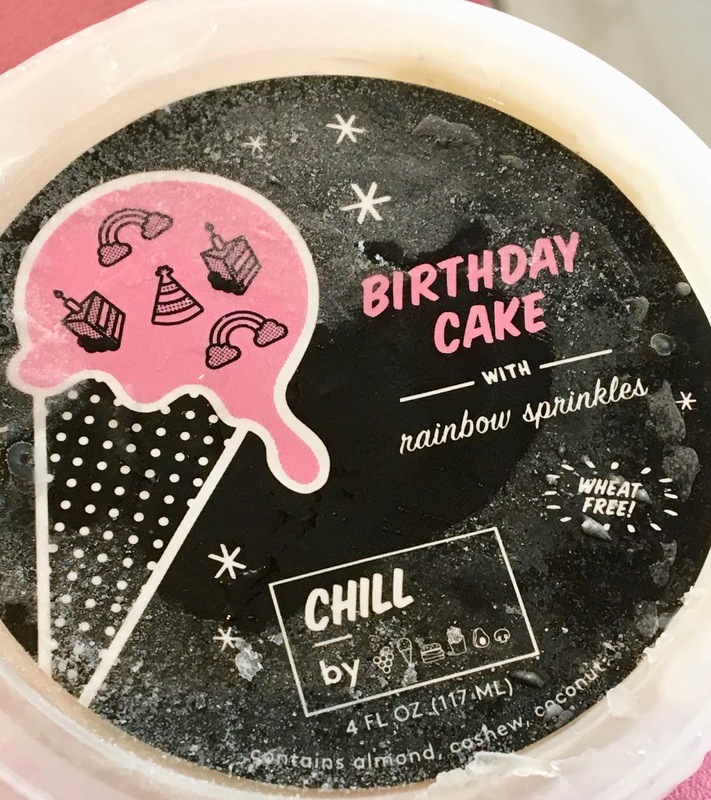 I opted to order their birthday cake with rainbow sprinkles ice cream, which comes in a perfect 4 oz serving. 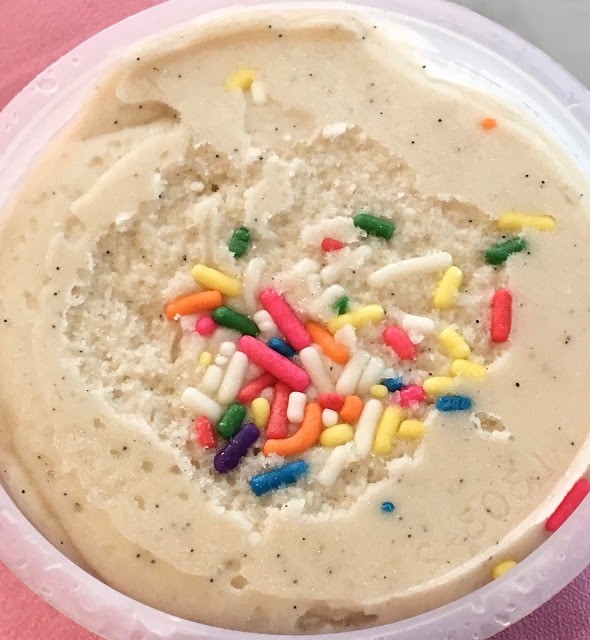 The thick, creamy vanilla base featured a strong vanilla bean flavor and was sweet without being sickeningly so. Brightly colored sprinkles are dispersed throughout, which add a fun flair. The resulting effect was festive and the frozen treat definitely brought a big smile to my face because it was simple yet so satisfying. As an allergy warning, the ice cream does list coconut, almond, and cashew as ingredients. I absolutely adored the ice cream I ordered, and cannot wait to make a return visit to By CHLOE for a full review. It's such a simple pleasure to be able to walk into a cafe and order ice cream that is safe, and am excited to know that I can satisfy my ice cream cravings whenever I am in New York City with a stop to any of By CHLOE's locations.